A newly proposed exchange-traded fund plans to allocate 25% of its entire portfolio to bitcoin futures. Realty Shares ETF Trust, a subsidiary of US-based asset manager Blockforce Capital, filed a registration form with the Securities and Exchange Commission on Monday to list its “Reality Shares Blockforce Global Currency Strategy ETF” on NYSE Arca. 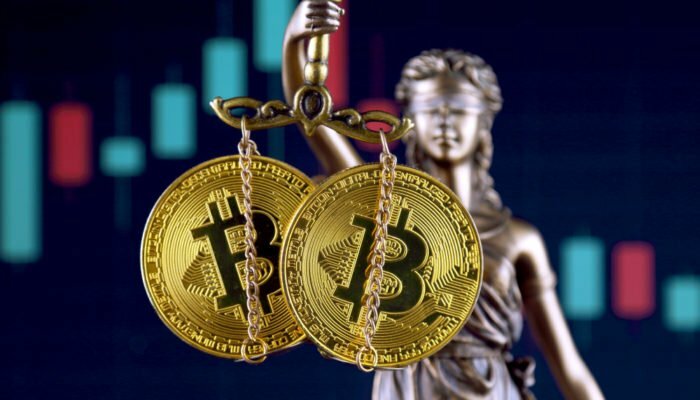 According to the application, the Fund would invest in sovereign debt instruments, money market mutual funds or other cash equivalents, and cash-settled bitcoin futures contracts. At the same time, the form explained, the Fund would allocate 15% of its net assets in fiat-denominated Fixed Income Securities and 10% of its net assets in Money Market Instruments for margin and cash management purposes. Realty Shares’ ETF would initially include bitcoin futures offered by Cboe and CME. The Fund cleared that it plans to add more bitcoin futures offerings in the future. With the Monday filing, Realty Shares now seeks SEC’s review on their bitcoin-enabled ETF. In return, the commission can either declare the registration statement effective or provide comments that would have Realty Shares to amend their statement and file it again. In the worst case scenario, the commission can refuse the report altogether, indicating that the ETF was unfit for approval. Should that happen, Realty Shares would either abandon their plans to launch a bitcoin-enabled ETF or would resubmit their application after making necessary adjustments. Realty Shares’ ETF filing also follows two bitcoin-related ETF applications filed by VanEck/SolidX and Bitwise Asset Management. While Bitwise’s application is still awaiting review by the SEC, VanEck/SolidX withdrew their application in January 2019 after an overstretched government shutdown in the US. In retrospective, VanEck/SolidX had published a proposed rule change for their bitcoin ETF on July 2 last year. In the very next month, the SEC had organized proceedings to determine whether or not to approve their proposed rule change. The Commission had eventually marked February 27 as the date to announce its final decision. However, VanEck/SolidX withdrew their application – as mentioned above – and refiled it later on January 31, 2019. Many at the time of withdrawal believed that the companies ignored a potential bitcoin ETF rejection by the SEC. And hence, they preferred just to quit the process. However, SEC commissioner Robert J Jackson said in an interview recently that a bitcoin exchange-traded fund was inevitable, indicating that the commission was more likely to approve a similar ETF this year. The comments followed a spike in bitcoin prices that surged more than 10% against the US Dollar in just 12 hours.